Acquire Care realises the importance of delivering a high quality service of care to their Clients. The following Customer Care Charter describes the customer standards which include all that the Client can expect and how the service will be delivered so that equality and human rights issues are supported correctly. The customer standards are based upon a set of principles that reflect recognised rights which the Clients have. The main principles are: Dignity, Privacy, Choice, Safety, Realising Potential, and Equality & Diversity. The Client’s dignity will be paramount at all times. Acquire Care considers that the standards will lead to Clients enjoying a good quality of life. · Acquire Care staff will be honest and trustworthy. They will be respectful of the Client’s home at all times. The initial process of recruitment involves the use of references and police checks (CRB). · Acquire Care staff will be fully trained with the correct knowledge and skills to enable them to be competent in their role and provide the best care possible. 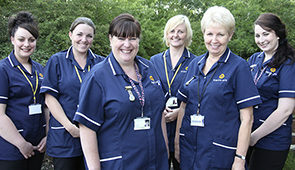 Acquire Care will aim to send the same group of staff to ensure continuity of care is provided. · Staff will arrive on time whenever possible although unforeseen circumstances must be allowed for. On their arrival, staff will introduce themselves and will provide proof of identity if asked. · Clients will be informed if there is to be a change of care worker / care routine or of any delays of more than 30 minutes due to unforeseen circumstances. · Clients can expect to receive the full range of tasks that were agreed following their assessment. · The support provided will not be rushed. The services will be provided in a caring and sensitive way. · Support staff will keep the Client informed with the care that they are delivering at the time. The staff may also converse about other day-to-day matters if the Client so wishes. · Acquire Care insists that Clients are treated with dignity and respect. Clients will always be addressed in the manner of their choice and as individuals. · Acquire Care will create a care plan tailored to individual needs. This will respect beliefs and lifestyle. · Safety of both the Client and Carers is paramount at all times. Risk assessments will be completed and tasks delivered in a safe way that complies with health and safety plus hygiene legislation. · Acquire Care will always arrange the correct number of staff to be present to support Clients. · Care plans are written to enable Clients to be as independent as possible. Acquire Care staff will promote and empower Clients to do as much as possible. The care plans will be outcome based and these will be met by Acquire Care. 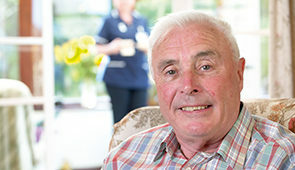 · At all times Acquire Care staff will be understanding and will treat Clients with dignity and respect. · At all times privacy and confidentiality will be ensured. · Acquire Care always ensure that Clients are comfortable and safe before staff leave. · Acquire Care deliver person centred support that will always ensure that the staff’s attention is focused on the Client. Staff will not use mobile phones or smoke during visits. · Whilst Acquire Care strives to provide the best possible care and support, any Clients with a complaint must be able to report this. This is by empowering the Clients with the information needed to report complaints. Acquire Care will respond within twenty four hours to any concerns or complaints. · Acquire Care, at regular intervals, conducts Quality Assurance which involves communicating with Clients to ask for views on the quality of service that is being provided. Customer choice is at the heart of Acquire Care’s approach. The Company appreciates the need for their services to be flexible, local and developed around the diversity of individual needs. It also recognises the importance of quality, including respect for human rights principles such as dignity and personal independence in the services commissioned. Dated 23rd January 2017 © Acquire Care Ltd.